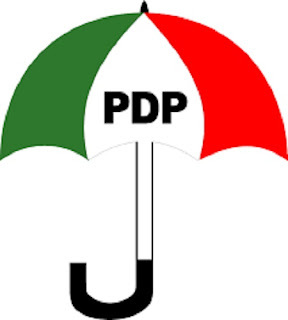 Ahead of the 2019 general elections, indications have emerged that the main opposition party, the Peoples Democratic Party, PDP in its bid to wrestle power from the ruling All Progressives Congress, APC has perfected plans to dump former Vice President Atiku Abubakar, former governors Sule Lamido, Babangida Aliyu and Ahmed Makarfi among other presidential aspirants under its umbrella for the adoption of Governor Ibrahim Dankwambo of Gombe State as its consensus candidate. Dankwambo, 56, who is a former Accountant-General of the federation is believed to be transparent and honest and the "best face" PDP needs to defeat President Muhammadu Buhari in 2019. Although, Gov.Dankwambo was yet to declare for the presidency, several groups within and outside the PDP have been calling on Him to throw himself into the 2019 presidential contest. Suanu's Blog gathered that Gov.Dankwambo reportedly enjoys the support of many serving and former PDP governors, ministers and other big-wigs who see in him the combination of competence and capacity easily salable to Nigerians after PDP's poor 16-year performance in power. "We need a candidate who is not only competent but has the appeal to erase our poor perception from the mind of Nigerians with his impeccable credentials." It is unclear if Gov.Dankwambo can stand the storm in the midst of other political heavyweights also from the north to fly the flag of the party.